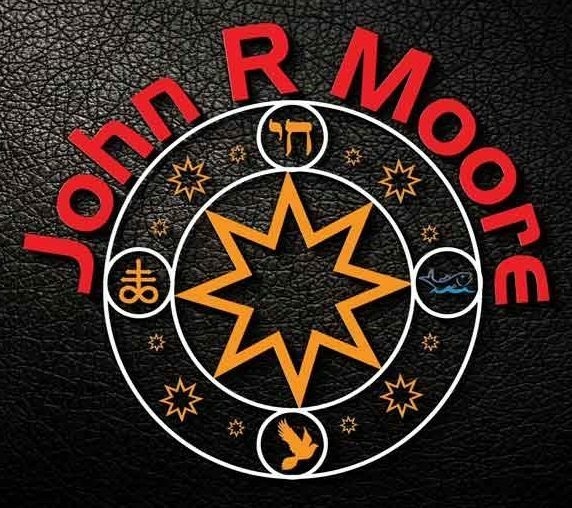 Good evening, good morning, good afternoon to our first author, John Moore. He’s written a number of fantasy and science fiction books and is responsible for the Embrellon series. Glad to have you here. What encouraging words do you have for new authors looking to make it in this business? What would you say to a person just starting out? The first thing I would say to a new author is to write your story. Everyone’s first draft is horrible, but it is a first draft. It will need editing, and if the story is good, you will have a good story when you finish. Second thing is to be patient, you will get published and the real work starts there, Marketing, Reviews, etc…, have to be done and you should get some beta readers to read your story. To the Author who is just starting out, I would say do not give up, if you want to be an author, it takes determination and hard work. If you do the work, you will reap the rewards. What pitfalls have you seen and what should be done to avoid them? The biggest pitfall I have seen is falling into the trap of the sights that say send us your story and we will help. They charge. If you are on a tight budget, or this is your attempt to break into the field, be patient, look for other authors in your genre, buy one of their books, review without being asked, and never do something expecting someone to return the favor. Do it because it is the right thing to do, and you will reap the rewards in the long run. Would you recommend any software out there that could help potential authors? Only two that I am familiar with, that is Grammarly, use it to make your writing better, and then a program I just started with called AutoCrit. Learn to write well, and use these programs to help you become better. Tell us about some of your favorite movies? What do you think is the current trend in sci-fi? How do you feel about CGI vs. real effects? My favorite movies are the Star Wars Original Trilogy, the prequals, and I like Rogue One. The Star Trek Movies, with the original cast, and all the new Marvel Cinematic Universe movies that are coming out. I have some all time favorites as well, one of them is Jason and the Argonauts. I saw it when I was four years old and I have watched it at least 100 times and watch it still every time it comes on. What is your all-time favorite sci-fi brand and why? What would you do better and what would change? Star Trek. It was my favorite show growing up. Started watching it with episode one as a child and have seen every episode at least 20 times. It is responsible for a lot of technology we take for granted today. Speaking computers and cell phones especially. The special effects could have been better and their wardrobe could have been better. What inspired you to write the Embrellon series? Who were some of your inspirations and how did their tone affect your writing? I actually owe the inspiration for The Embrellon Series to two authors, Edgar Rice Burroughs and Anne McCaffrey. They wrote some of the most exciting stories I have ever read, I own the complete series of John Carter of Mars and the Dragon Riders of Pern. Tell us about your main character; what inspires his actions and what motivates him? What are some of his flaws? The Main Character for two of the books in the Embrellon Series is a Space Marine Named Colonel James Whitlaw. He was marooned on Embrellon and his original motivation was survival and revenge. The Marn destroyed his ship in orbit and stranded him on the planet. His major flaw is over-confidence but he learns to deal with it as the stories progress and becomes the savior of the world of Embrellon. Who are some of your favorite authors in why in the science fiction/fantasy genre? Who are some that you don’t like as much and why not? Edgar Rice Burroughs, Anne McCaffrey, J.R.R. Tolkien, Robert E. Howard, Christopher Paolini, are some of my favorites, there are others but these four are my favorites. I am not a huge fan of Isaac Asimov, his stories are to technical for most people and not enough fantasy involved to make it an easy read. I read a lot of Bradbury as well, he is a master at his craft but he tends to do some of the same things in certain of his stories as Asimov. Having many books out is an amazing feat! Tell us your method? Are you a pantser or a plotter IE, do you write on the edge of your pants or do you plot the story out on paper in advance and follow an outline? I am a Panster. Some times I write parts of my story line out as an outline but usually, I have the complete story in my head before I type the first word. Then it is like watching a movie and writing down what you are seeing. I tend to write in the narrative, but I do include a lot of dialog in my books. What’s the name of a book you read in the past year you would changed and what would the changes have been. I read the whole R.R. Martin series ASOIF, I would trash the whole series and start over. He is a gifted screen writer but his novels are boring and hard to read. Tell us about some up and coming ideas you have brewing. Are you planning a new series or are you going to do any spin-offs of your established work? What can we look forward to? I just finished The Sorcerer Chronicles a three book series, it is doing well, and I started a new Series, with the release of the first book Bloodlines on July. Currently on the second book of the series called Infinities Gate, set in modern day era with the main character a woman named Tamara Jenkins who is an Archeologist who becomes a sorcerer and is a cross between Merlin and Indiana Jones. I don’t want to say much about the new book I am working on other than it is going to blow your mind when it comes out. What kinds of stories do you like to tell and why? What should readers expect? I like to tell stories that are morally sound, have classic hero/heroine characters and involve magic, myths, and legends. I do a lot of research to make them believable. I also write straight sci-fi like the Embrellon Series, which is a great series, and I will probably at some point go back and write a few more books to flesh out the series, there is a lot of material there to work with still. Give us your top 5 characters fictional characters in sci-fi/fantasy and what made them more interesting than the others? John Carter Warlord of Mars, the classic of all hero’s created by Edgar Rice Burroughs and is the pattern he used to create Tarzan. Erragon – he is the hero in the Eldest Cycle, a true fantasy series, and he is flawed and real at the same time and has to learn what he truly believes in the process. When do you get your best ideas? Do you have a routine? Believe it or not, I get my best ideas for stories when I am doing research into myths, legends, or biographies. I have gotten so many great ideas that were able to become a part of my storylines. I am a former police officer, professional chef, I worked on a cattle ranch, was an active Mountain Man reenactor, and I use those experiences to develop character in my characters, I have done a lot of other things in my life, and every experience taught me something. I use those personal experiences for different characters in my books to give them depth and realism. Thanks for taking the time with us, John. We look forward to future interviews with you!